IS THIS THE END OF 34RTH? 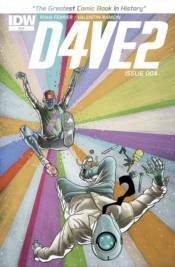 When D4VE follows the humans back in time before the robot uprising, he is faced with the ultimate dilemma...one that will change history forever. The shocking conclusion to the anticipated second arc!